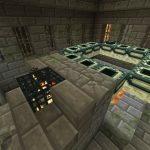 Ready for another Pocket Edition stronghold to explore? Here’s another easy one to reach from the game spawn point. Enter the seed ‘burndown’ (cool seed code!). 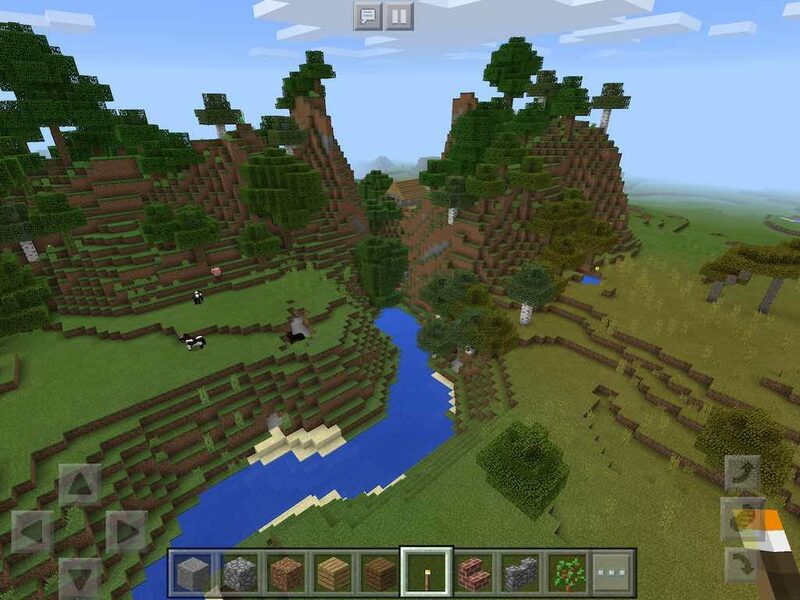 Once the world render algorithm has done it’s work you’ll appear in a plains biome beside a river. The blacksmith village which is above the prize is just up the river. It may be difficult to see. So, we’ve added a screenshot below that is taken hovering over the spawn point to help guide you. Head on over to the well and dig right beside it. 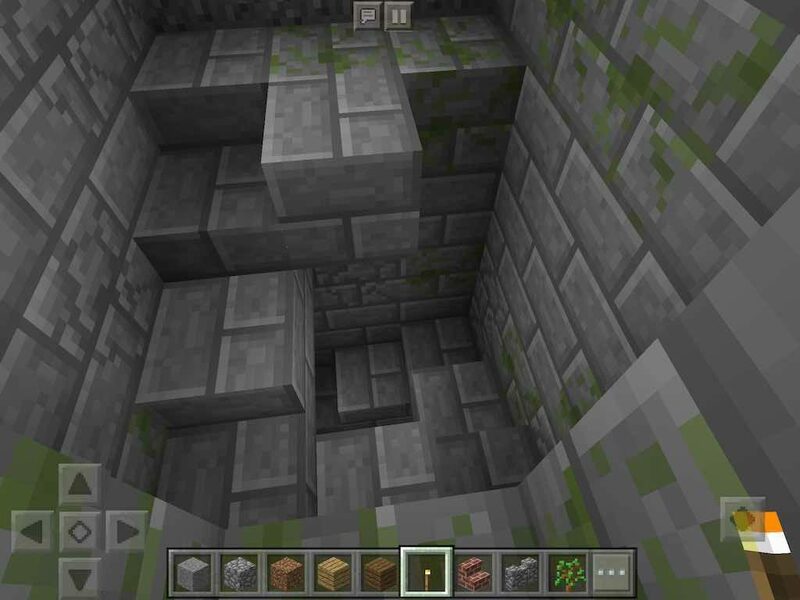 Within a dozen blocks or so you’ll fall into the stronghold staircase. Now the fun begins. This is a very large stronghold. 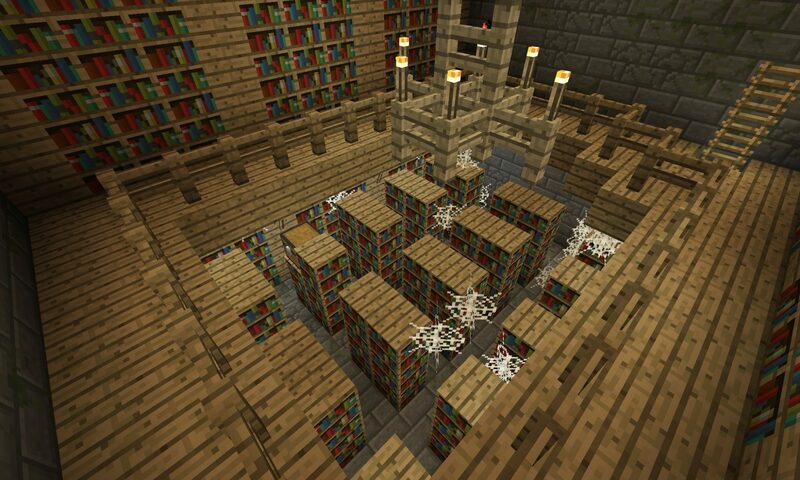 We did find the library but are still exploring to find the portal room. To get to the stronghold village, head up the river from the game spawn point. This is the blacksmith village with the stronghold beneath it. 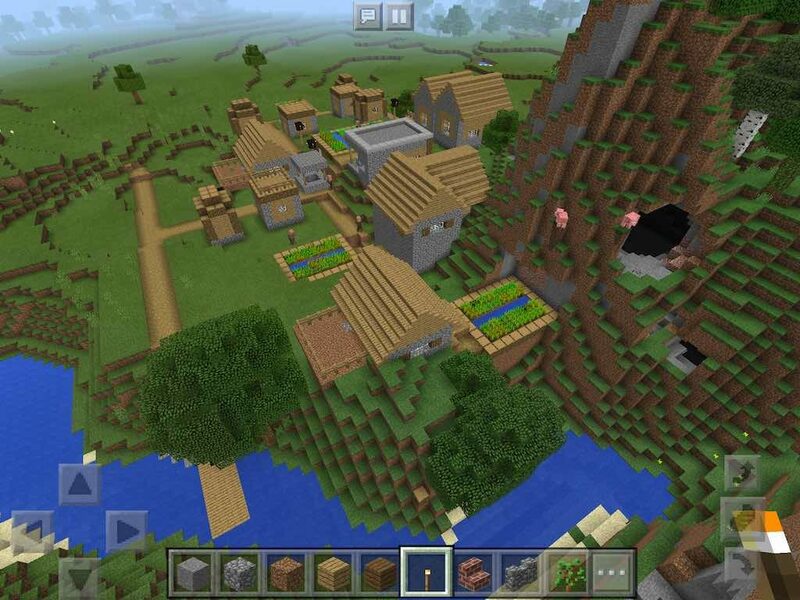 Cool village placement and interesting cave nearby. 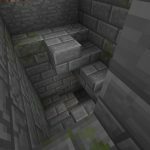 The entrance to the the stronghold is this stairway beneath the village well.